Only James Franco, Dave Franco and Seth Rogen could pull off a hilarious film documenting the world’s greatest bad movie. It turns out The Disaster Artist is everything that fans of Tommy Wiseau’s cult classic The Room were expecting! Here is your chance to win double tickets to an early screening of The Disaster Artist on Thursday 8 February 2018 in Cape Town (V&A) and Johannesburg (Rosebank). There are bad movies and then there is The Room, the Citizen Kane of bad films, a film so bad, so painful and so inept, it’s unworthy of calling itself a bad movie. It’s almost impossible to comprehend and could possibly pass as an alien experiment (using human beings as their pawns) gone completely wrong. Of course, it made total sense that James Franco (you’ll have’ta look twice to tell Wiseau and Franco apart) would make a film about this disastrous film that holds a special place in the hearts of so many. Franco has managed to pick up numerous awards for his performance, including a Critics’ Choice award, Detroit Film Critics Society award, a Golden Globe and many others. The film currently holds an approval rating of 92% based on 255 reviews on review aggregation website Rotten Tomatoes. 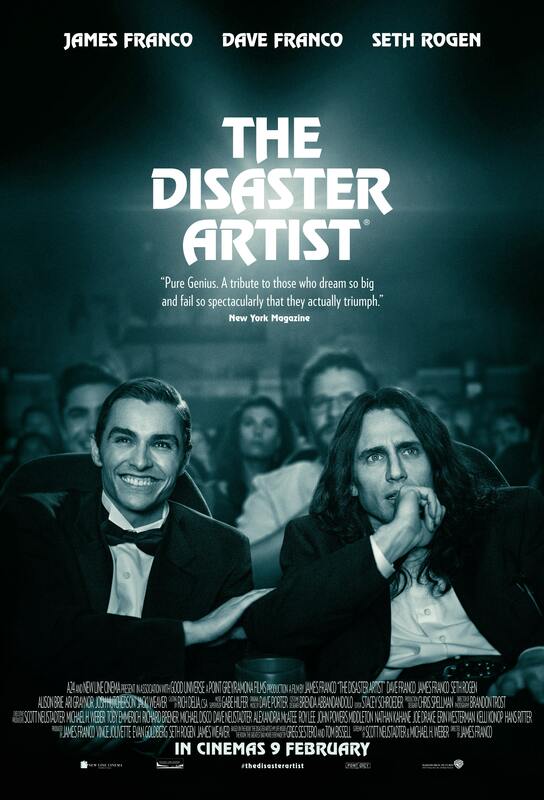 The Disaster Artist releases nationwide on the 9th February 2018. Competition closes Tuesday, 6th February 2018. ©2017 Warner Bros. Entertainment. All Rights Reserved. I would love to attend the Cape Town screening! I would like to attend the screening at Rosebank. I would love to attend the Cape Town screening please.